Free Parking in large well-lit private lot adjacent to restaurant. Self park. Piano Bar and live music. Please call for schedule. 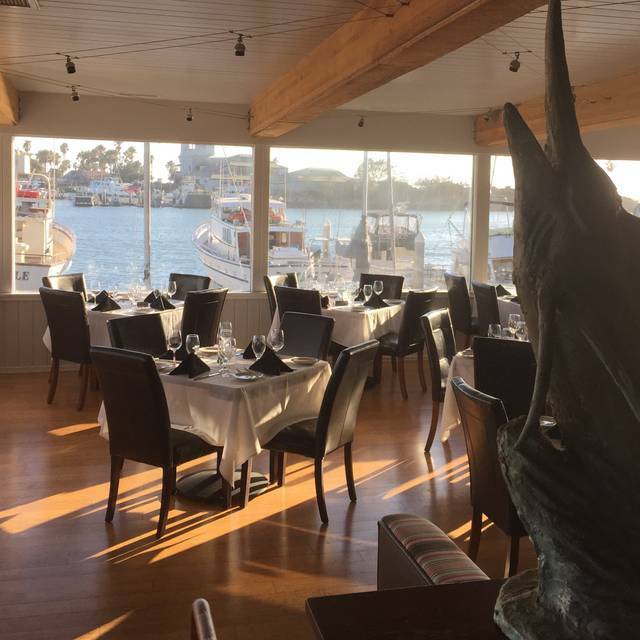 Amazing dishes, tasty cocktails, and an incredible happy hour in one of the most picturesque locations in the Ventura Harbor. 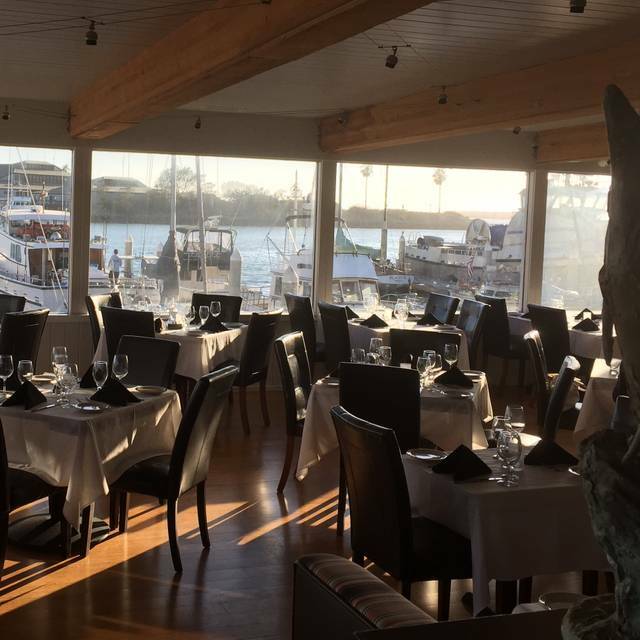 We proudly introduce Rhumb Line, the Sunset Restaurant. 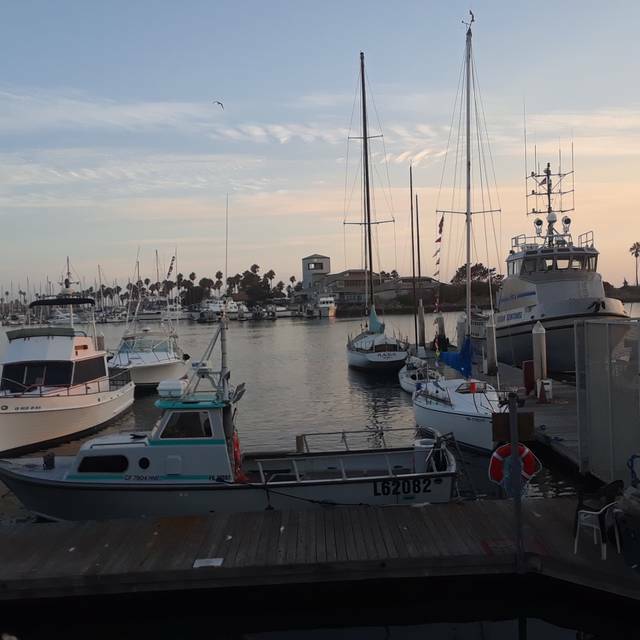 Beautiful water front restaurant with incredible views of Ventura Harbor and the most stunning sunsets anywhere in Southern California. Fresh seafood from the fishing boats to our kitchens and moderately priced for our customers. A lovely, quiet time! Gorgeous harbor views! We loved the view. The food was good. Only downside was it was very noisy for a nice dinner on our Anniversary. I believe if there was a partition between the bar area and the dining area below it would help. Good service. Seared Wasabe Ahi was seriously lacking in the Wasabe department. Suggestion made to Waiter. Put on the Wasabe after it is off the grill. Love to be on the water. Love the new look. Will be returning. 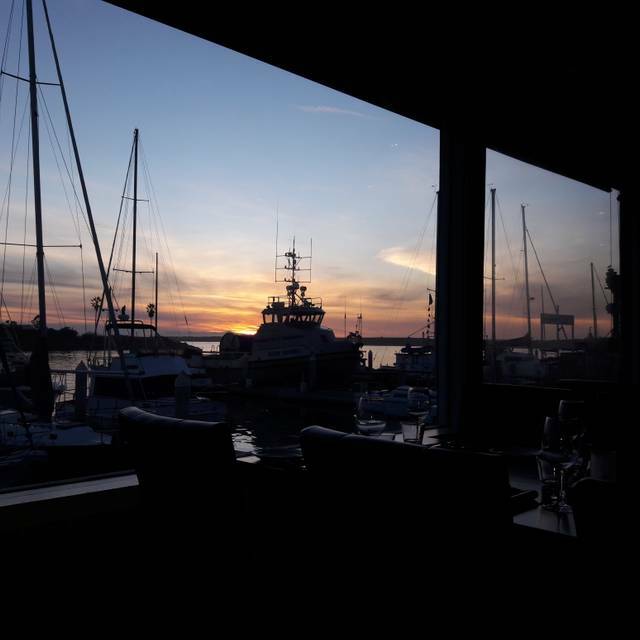 We have recommended the restaurant as we feel it is a little gem right by the harbor without the crowd at the village. Hopefully it will stay that way. 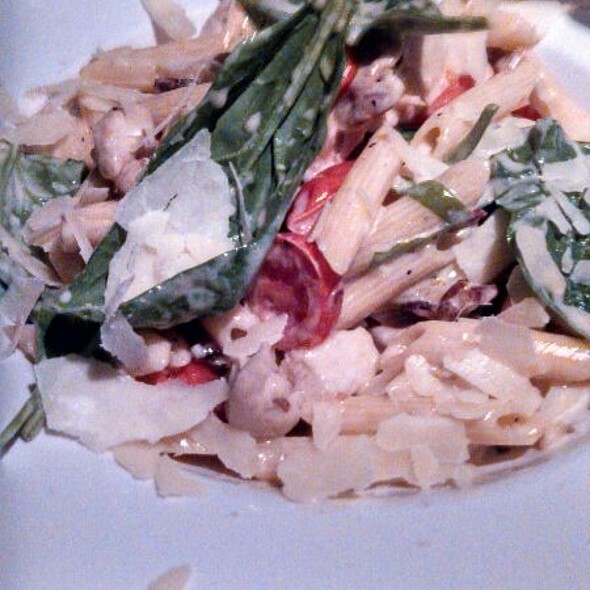 Food is very good, service fast and friendly and very relaxing sitting on the patio. The patio is very small and could use a bit of beautification but then the crowd may come. So, lets just leave it as is. We will be back. Overall we had excellent food and service will Definetely be back talked to the manager about a special family event coming up. The view was wonderful. The waiter was attentive. Our food was presented beautifully and was delicious. Great dinner! Beautiful view at sunset!! Definitely will be back!! We ordered a ribeye medium rare but was served an over cooked very well done thin steak. Also the osso bucco was reheated. For the prices that they're charging the steak should be twice as thick and prepared to perfection and the osso bucco should be made fresh daily. They also served water to the table in these ridiculous glass jars that dribbled all over the table and floor when used. Having said that the service and views are spectacular. The hostess was very friendly and after I made a certain request during making a reservation. They did exactly as I asked. The service was excellent and so was the food and the prices. I wish this restaurant would add a seafood bar and/or variety is oysters and other shell fish and I bit bigger fish menu. Go for the view, not for the food. 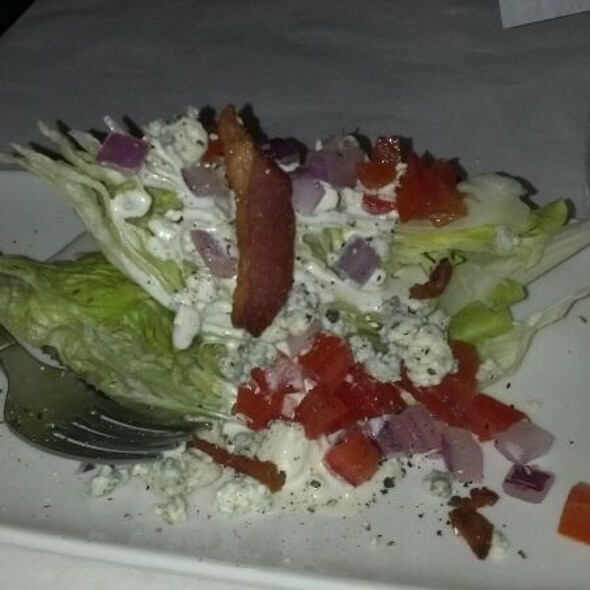 While attempting to upgrade (Rhumbline to Waters Edge) the 'new look' isn't worth the higher prices - and our food while it looked beautiful and appetizing, didn't deliver in flavor. As a foodie, I was rather underwhelmed, but as I guy who is equal parts environment to flavor, the view is outstanding. 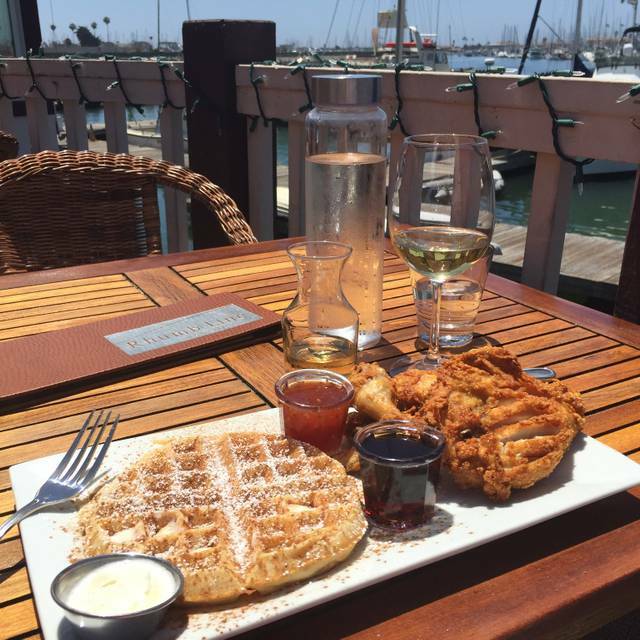 Water's Edge provides excellent food in a beautiful and comfortable room with a view of Ventura Harbor. 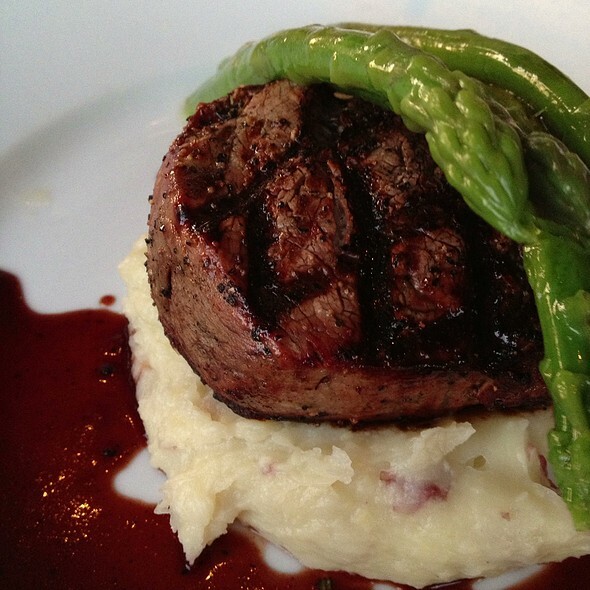 It is a lovely place to have dinner; perhaps the best restaurant for fine dining in Ventura. I am sad to say... I really wanted to enjoy our meal. The first time we visited we had a few appetizers at the bar and it was just “okay”. This second tome, the staff was again very accommodating and professional , but my food was inedible. My husband and I shared sand dabs which come with mashed potatoes and spinach. They offered to split it, which they did. I got a less the 1/4 cup of spinach that horrible over cooked. The potatoes were bland and my fish was, as I said, in edible. I don’t know what kind of breading was used, but it covered over and spread all over the fish like a thick dough-like texture. The dough stretched passed the fish so that there was tubber texture sourounding the edge of the fish. Instead of a nice caper sauce, we had a small slab of thick sauce in the muddle of the fish a few capers. If I was by myself with husband, I would have returned the meal and order something else but we were with another couple. Neither of them are their whole meal either and said they were underwhelming. I ate two bites of the fish without the “breading” and it was very dry and tasteless. So disappointed. They fixed up the restaurant and it looks great. The food needs a ton of work. The other comment I have is that the restaurant is very loud. Sorry, Inwas Hope my to be a frequent patron, but I will not be back unless there are major improvements to the menu. Food was truly awesome, and the window seat to watch the sun set was equal to the food! Service was a bit slow...could be they were just short handed the night we visited. A bit of a lag for our waitress to take orders, and the delays in being served even basics like cocktails was uncomfortably long. Delightful ambiance with Harbor views. Service is exceptional and food outstanding. They also have a wonderful Happy Hour! We enjoyed this restaurant but it was quite noisy which made it hard to carry on a conversation. The food was good but the service was very poor. It literally took over 2 hours for our party of 6 to get our food. The drinks were slow. Only 2 of the 3 appetizers we ordered actually made it out to the table. Food and view was great. Service was a little spotty. Had to ask for menus and wait awhile to get waiter’s attention when ready to pay. This has a gorgeous view of the harbor, which is the only reason I would go back. The service is absolutely horrible. The food was good, but it takes forever to order, and even longer to get your order. We ordered several dishes, and When our pasta came, we asked for a serving spoon. It took about 10 minutes, and by the time we tried the pasta, it was cold. We ordered a bottle of Prosecco, which never came. So after 25 minutes, we cancelled it and got the bill. The drinks were pretty bad, but the bartender was super nice. He re made one drink, and came out to ensure we were pleased with it. Bad service might have made sense if they were busy....which they weren’t. Although my request for high top seats was not honored, (because it was not happy hour yet) we were seated at a beautiful bay side window which was much better! We enjoyed the view and the exquisite fare, not to mention the bottomless mimosas! Our wait staff was very attentive and friendly, (thank you Clover!) This definitely a place to come back to! Have been here for dinner, very good. Breakfast needs improvement. Fo you have a breakfast cook? Missing and incorrect condiments. Excellent customer service. The service was very slow. Waited a long time for a glass of wine to arrive at our table. The food was just ok, nothing spectacular. And the noise level was horrible. We were happy to hear that the chef has not changed. Our halibut entree was delicious and both our red wine were excellent. Dessert choices also are very good, not too heavy. Definitely a special place for a special occasion. Prices are on the high side. Exceptionally friendly service from start to finish. 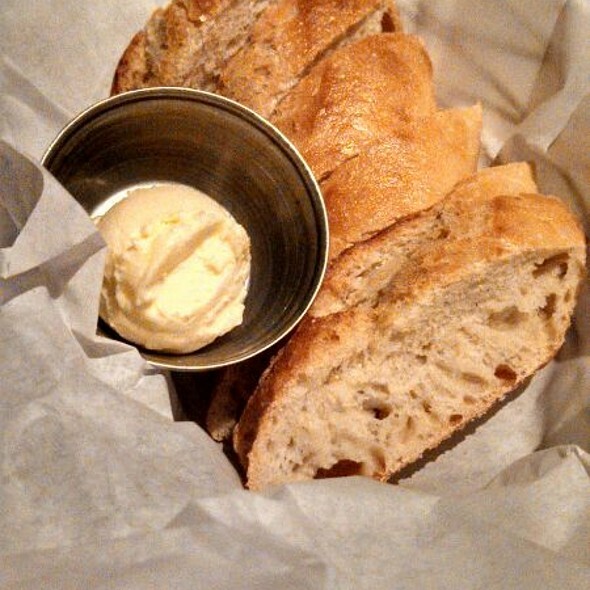 They started us off with a complimentary plate of crostini. Even the Manager stopped by our table several times to inquire! The food was flavorful and cooked perfectly, I had the Braised Short Ribs and it just fell apart. My husband said his Pork Osso Bucco was delicious and our dining companions were just as complimentary about their choices, Cioppino and the Chipotle Orange Glazed Pork Chop. Yes a little on the expensive side however, when you can get this kind of service and such great dishes in such a delightful location, go ahead and splurge! The food and service are great and there's a view of the water pretty much from anywhere you sit. We go to this place often. The updated RhumbLine now Water's Edge is a much more comfortable restaurant. Whereas before the old worn-out chairs were very uncomfortable, the new chairs are great, and we loved the light color instead of black. We received a window table as requested and throughout had excellent service from not just our waitperson Coco but from others on the wait staff as well. They served my ahi with extra wasabi on the side, much appreciated, and the sand dabs were tender and perfectly prepared. Since we were celebrating a birthday, they brought us a beautiful dessert on the house. My only caution: If you are using a ride service like Lyft, order your ride home before you get to Water's Edge. You won't be able to schedule a pick-up from the restaurant for some reason neither I nor Lyft can fathom. Others have had the same problem from this harbor location. Our waitress was not very good. The meal took 20 to 25 more minutes that it should have. Had to keep asking the other help to get us service. Things like the bill more water to name two. Manager was wonderful- did a great job in covering for our non-existent server... setting was absolutely lovely! I enjoyed my meal. Food was tasty. Good ambiance. Will likely return. This was our 2nd Valentine’s Day dinner there and it was amazing. The food, service and ambiance is always spectacular. Excellent food. Excellent cocktails. Very kind and concerned manager who will make sure you are having a great night. We took my disabled Mom-in-law out for Valentine's and they were awesome about accommodating her. We 10/10 will be back! The manager named Orestes was wonderful and took care of making our table by the window a romantic Valentine’s evening. There was some initial confusion of our table but Orestes made the best of it!!!!! Great oysters. Lobster entree was not hot, lukewarm, probably related to the slow service. Waiter seemed new and not well informed. Halibut and salmon dishes were good. Great ambience. Would go again. Perfect. Our server was Very attentive, and friendly- without being annoying. I plan to visit again. The ambiance at the Water's Edge set the stage for a relaxing, enjoyable experience with family. Food was excellent, service good and view fantastic! Our only complaint was that the tables by the window were much to close together. Getting in and out difficult and we felt as though we were part of the tables on either side.